Xiaomi has launched Xiaomi Mi 8 and Mi 8 SE Now According to report Xiaomi is working on Mi 8X smartphone which looks similar to Mi 8. Xiaomi Mi 8X rumored to feature Snapdragon 710 processor and an under-display fingerprint scanner. 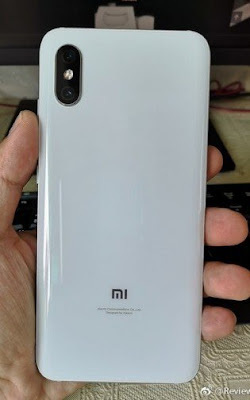 It looks similar to Mi 8 with the rounded corners and curved edges of the back panel. Another photo surfaced on Weibo, picturing Lei Jun boarding a plane with a white unknown phone in its hand which looks similar to Mi 8X leaked image. As there is No official info yet take this leak with a pinch of salt.